EOS is finally overcoming sharp criticisms from some quarters who have been terming it as not a true Cryptocurrency for being a native Token of a pseudo-decentralized Blockchain project. Over the weekend, its price saw a surge of 16% which is among the best in the Cryptocurrency market. On Friday, EOS closed the midweek trading session at a support level of $1.546 in the Western markets. There was a short-lived rally due to price action combinations in Friday and the Weekend that supported the 16% surge in EOS/USD price. 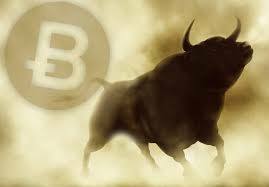 During the bull run, the market capitalization added over $400 million by surging from the $1, 472, 708 market cap as at 21: 54 UTC on December 7th to a high of $ 1, 881,000 as at 00: 49 UTC. During this period, EOS/USD value rose from a low value of $ 1.57 to $ over $ 2.00. This rally immediately triggered an evaluation from both EOS enthusiasts and critics on whether EOS has reached a breakout period towards a bullish rebound. Particularly, the price surge presented an indication that a period of sustained gains is in the offing. The absence of substantial factors to occasion such a weekend rally is not unusual as Crypto markets can sometimes undergo unexplained bouts of price movements. It is also important to take into account that there is a small probability that the causal factor may be the listing of EOS on Coinbase. But since other 29 Tokens were also listed, with little to no price surges, show that this has very little to no effect. On Monday 10th December, EOS prices have given in to the widespread Crypto markets downward pressures after initially hitting an intraday high of $2.192. This can be viewed as a price correction to the weekend’s unexplained price surge that may have led to an overvaluation of EOS in the context of the wider market. 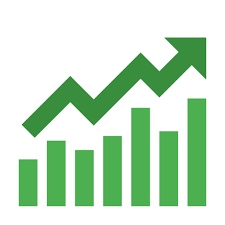 However, EOS is valued at $1.97 which is within the technical range that is being established through Monday’s day of trading where a new level of support and resistance level pair is being defined. Despite the price retraction, the current price level still indicates a strong likelihood of an upward trend that could lead to a reversal action. Since it is difficult to predict with 100% certainty where the price will be, investors are urged to make their orders since there is a $2-day range of psychological support that is likely to prevent a further slump. Hence, signaling an optimal investment opportunity. EOS is the native Token of EOS.IO Blockchain. The white paper was created by Daniel Larimer and Brendan Blumer in January 2018. This platform supports Decentralized and Smart Contract operations that can be customized by corporations to offer low-fee and instant transactions. EOS is the 7th largest Cryptocurrency at a market cap of more than $1, 770,000 and a circulating Coin supply of 906,245,118 EOS against a total supply of 1,006,245,120 EOS.